Bright Ideas - A Round Up! Welcome to the November edition of the Bright Ideas Link-Up! This one is a special one! Over the past 10 months, we have shared thousands of great ideas through our monthly Bright Ideas event. This month, we’re re-capping all of those great ideas, just in case you missed any! In May, I shared Bright Ideas for Word Work. I was so happy to share the little tricks I use to keep Word Work fun and organized! 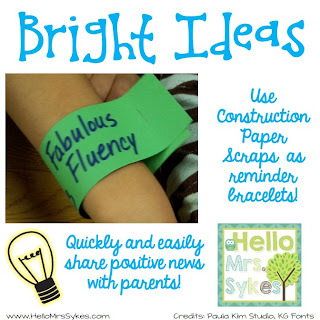 Back in April, I shared my eco-friendly Reminder Bracelets! This tip saves me so much time, and is a great way to keep the lines of communication active between home and school. 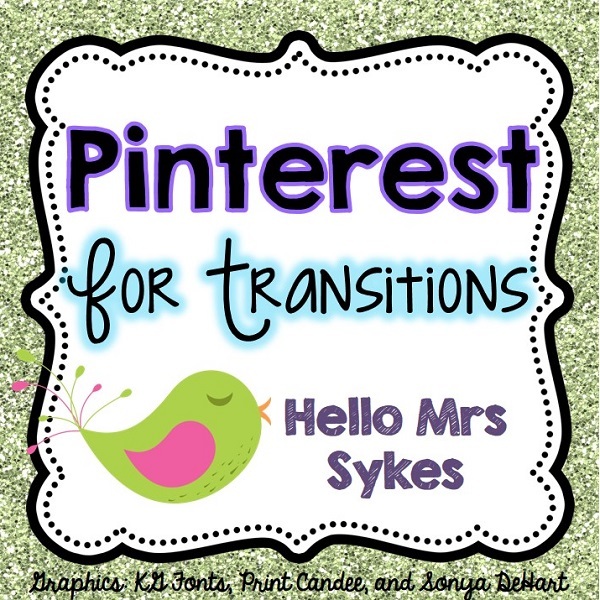 Last, but my favorite, is from last February - Use Pinterest for Transitions! There are so many Bright Ideas out there! I hope that you found an idea (or a few ideas!) that you can use in your own classroom. Be sure to check out the link up below for tons more fabulous ideas from my bloggy friends! Have a great day!